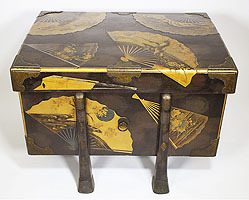 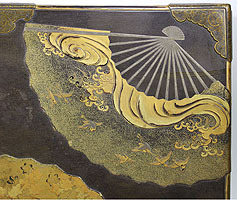 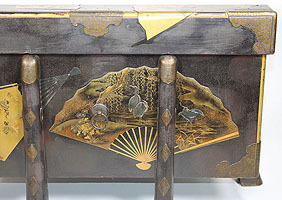 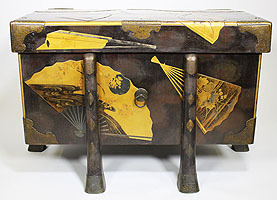 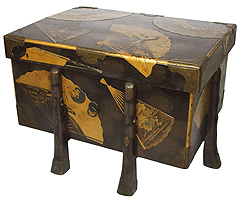 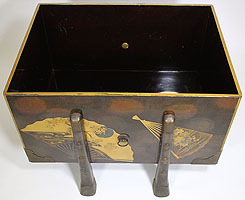 The karabitsu (literally, Chinese chest) is a rectangular lidded chest raised on four legs. 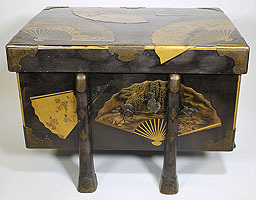 The name implies a foreign origin for this elegant and functional form, used in Japan since the Nara period (645–794) to store precious objects, but no prototype has survived in China. Although its origin is obscure, the form is well suited to Japanese usage, highly functional for storage in a humid climate and attractive for display in the sparely furnished interiors of traditional architecture. 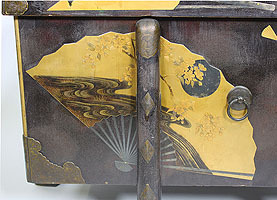 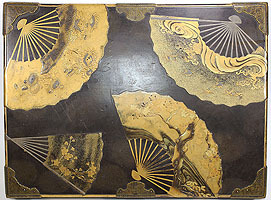 Early extant examples from the twelfth century are black with mother-of-pearl inlay, although a similar undecorated red lacquer chest is recorded to have been made in 1040 for the sacred mirror, one of the three imperial regalia. 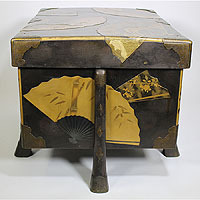 In its earliest form, the box was square with taller legs; the proportions of this later chest, with shorter and wider legs, give it a more solid appearance.